Kamarul Hawari Ghazali, Mohd Fais Mansor, Mohd. Marzuki Mustafa, Aini Hussain. (2007). Feature Extraction Technique using Discrete Wavelet Transform for Image Classification. - Proceeding of 5th Student Conference on Research and Development (SCOReD 2007), Bangi. .
K. Mat, M. F. Mansor, W. N. W. Ibrahim & A. Mohamed. (2007). Maklum balas industri dan alumni terhadap Program Pengajian Prasiswazah di Jabatan Kejuruteraan Elektrik, Elektronik Dan Sistem, UKM.. - Seminar Pendidikan Kejuruteraan dan Alam Bina (PeKA) 2007, Everly Resort Hotel, Melaka.. .
Mohd Fais Mansor, Suliana Sulaiman, Kamarulzaman Mat, Azah Mohamed. (2007).  Penilaian pendidikan kejuruteraan melalui kaji selidik alumni dan graduan Jabatan Kejuruteraan Elektrik, Elektronik dan Sistem, UKM. - Seminar Pengajaran & Pembelajaran Berkesan 2006. .
Mohd F. B. Mansor, Tim W. C. Brown, Barry G. Evans. (2010). Satellite MIMO measurement with colocated quadrifilar helix antennas at the receiver terminal. - IEEE Antennas and wireless propagation letters. 9:712-715. A. Selamat, N. Misran, M. T. Islam and M. F. Mansor. (2013). Analysis of phase range distribution of different reflectarray elements on polycrystalline silicon cell. - Progress In Electromagnetics Research Symposium Proceedings. .
M. R. Ahsan, M. T. Islam, M. Habib Ullah, H. Arshad, and M. F.Mansor. (2014). Low-Cost Dielectric Substrate for Designing Low Profile Multiband Monopole Microstrip Antenna. - The Scientific World Journal. 1-10. Md. Moinul Islam, Mohammad Tariqul Islam, Md. Samsuzzaman, Mohammad Rashed Iqbal Faruque , Norbahiah Misran and Mohd Fais Mansor. (2015). A Miniaturized Antenna with Negative Index Metamaterial Based on Modified SRR and CLS Unit Cell for UWB Microwave Imaging Applications. - Materials. 392-407. Eistiak Ahamed, Md. Mehedi Hasan, Mohammad Rashed Iqbal Faruque, Mohd Fais Bin Mansor, Sabirin Abdullah, Mohammad Tariqul Islam. (2018). Left-handed metamaterial inspired by joint TD geometry on flexible NiAl2O4 substrate. - PLoS ONE. .
Mohammad Tariqul Islam, Md. Naimur Rahman, Md. Samsuzzaman, Mohd Fais Mansor and Norbahiah Misran. (2018). Resonator-inspired metamaterial sensor: design and experimental validation for measuring thickness of multi-layered structures. - Sensors. .
M. R. Ahsan, M. Habib Ullah, F. Mansor, N. Misran and T. Islam. (2014). Analysis of a Compact Wideband Slotted Antenna for Ku Band Applications. - International Journal of Antennas and Propagation. 2014:423495. Afaz Uddin Ahmed, M. T. Islam, Rezaul Azim, Mahamod Ismail and Mohd Fais Mansor. (2014). Microstrip Antenna Design for Femtocell Coverage Optimization. - International Journal of Antennas and Propagation. 2014:1-8. H. S. Wong, S. Kibria, M. F. B. Mansor and M. T. Islam. (2015). Compact MIMO Antenna for LTE Handsets. - Frequenz. 463-469. Ahsan M.R., Islam M.T., Ullah M.H., Mansor M.F., Misran N.. (2016). Dual band printed patch antenna on ceramic-polytetrafluoroethylene composite material substrate for GPS and WLAN applications. - Telecommunication Systems. 747-756. Moinul Islam, Mohammad Rashed Iqbal Faruque, Mohd Fais Mansor,Mohammad Tariqul Islam. (2016). Printed microstrip line-fed patch antenna on a high-dielectric material for c-band applicationsS. - Materiali in tehnologije. 307-310. Kamarulzaman Mat, Norbahiah Misran, Mohd Fais Mansor, Mohammad Tariqul Islam. (2013). Analysis of ring and C-shaped reflectarray antenna element for monopulse application. - Proceeding of the 2013 IEEE International Conference on Space Science and Communication (IconSpace). .
Aymen Dheyaa Khaleel, Mohd Fais Mansor, Norbahiah Misran & Mohammad Tariqul Islam. (2016). Partial ground dielectric resonator antenna for LTE Femtocell base stations. - Applied Electromagnetics (APACE), 2016 IEEE Asia-Pacific Conference on. 315-318. MK Mohamed Amin, MF Mansor, N Misran & MT Islam. (2016). Dual band resonance of millimeter-wave frequencies antennas on LTCC. - Advances in Electrical, Electronic and Systems Engineering (ICAEES), International Conference on. 559-562. M Ramli, N Misran, MFB Mansor & MT Islam. (2016). Capacitive loading radiating element for reconfigurable reflectarray at Ku-band. - Antennas and Propagation in Wireless Communications (APWC), 2016 IEEE-APS Topical Conference on. 200-203. Dr. Mohd Asyraf Zulkifley, Pn. Farizah Ansarudin, En. Ahmad Yunus Misdi, Dr, Mohd Fais Mansor, En. Muhd. Fauzi Aminuddin Shazi Shaarani, En. Hilmi Sanusi dan Cik Oh Soo Ling. (2013). Buletin JKEES Edisi Jun 2013. - Edisi Jun 2013. .
Yazrina Yahya , Abdul Latiff Ahmad, Azlen Ab Rahman, Harfiz Rasul, Nur Haiqal Rawlins, Rosnani Boyak, Ong Chang Ee, Fais Mansor. (2017). English taught courses handbook. - . 1-12. Yazrina Yahya , Abdul Latiff Ahmad, Azlen Ab Rahman, Harfiz Rasul, Nur Haiqal Rawlins, Rosnani Boyak, Ong Chang Ee, Fais Mansor. (2017). Brosur antarabangsa FEP. - . 1. Yazrina Yahya , Abdul Latiff Ahmad, Azlen Ab Rahman, Harfiz Rasul, Nur Haiqal Rawlins, Rosnani Boyak, Ong Chang Ee, Fais Mansor. (2017). Brosur antarabangsa FTSM. - . 1-2. Yazrina Yahya , Abdul Latiff Ahmad, Azlen Ab Rahman, Harfiz Rasul, Nur Haiqal Rawlins, Rosnani Boyak, Ong Chang Ee, Fais Mansor. (2017). Brosur antarabangsa FSSK. - . 1-2.